The 9 Best Mexican Restaurants in Iowa! Whatever your favorite Mexican dish is, whether it’s burritos, enchiladas or tacos, if you happen to be in the state of Iowa, you’re bound to find what you are looking for. Spread across the state in small shops and festive atmospheres, there are a lot of Mexican restaurants to choose from, but to get the freshest ingredients and most authentic tastes, it’s worth your time to check out these nine best Mexican Restaurants in Iowa. Many will agree that La Regia in Iowa City is not only one of the best Mexican restaurants in the state of Iowa, it could very well be one of the best in the Midwest. Whether it’s the exciting atmosphere and tantalizing smells of fresh Mexican food found in La Regia that brings you through the doors, it’s the actual taste of the fresh-made food that will have you coming back for more. Plastered all over the walls of La Juanita in Sioux City are the accolades and awards this hometown taqueria has garnished over the years, and they’re not just decorations on the wall at La Juanita, their proof to something already realized after taking your first bite of Mexican fare found at this celebrated spot. Whether you go for tacos, enchiladas, burritos or any number of the many Mexican entree options at La Juanita, you’ll be ready to give them another award to put on the wall. While El Jimador Mexican Grill in Denison is happy to provide some carry-out, it’s highly recommended that you dine in at this festive Mexican restaurant. Featuring a full menu of every Mexican food option you could ever want, plus many more, El Jimador Mexican Grill is happy to host the fiesta or fun night out, and with a strict attention to high-quality ingredients, plus a full bar, it’s a winning combination at El Jimador for a great meal and good time while visiting this awesome Mexican Restaurant. Located on 2nd Street in Webster City, Lomita’s Mexican Restaurant provides a laid-back environment to enjoy some of the best Mexican food found in Iowa. Whether you like it spicy or mild, with green or red sauce, or hard shell or soft, every item on the Lomita’s menu features fresh ingredients and attention to detail, ensuring that no matter what you order, or how you order it, you’ll be set up to have a great Mexican meal. Not to be mistaken for fast food, Abelardo’s Mexican Restaurant in Des Moines (and several other locations in Iowa) serves food fresh and fast, and can immediately satisfy your Mexican food appetite. Featuring a full menu of tacos, burritos, enchiladas and much more, Abelardo’s has already been cementing itself as a Des Moines staple for many years, and with a 24-hour drive-thru open seven days a week, no matter the day, or time of day, you can enjoy this handcrafted Mexican fare that will surely get your taste buds excited for more. For a fun, festive and delicious night out, El Sol de Solon is your one stop shop for it all. Featuring a full menu of traditional Mexican fare, plus a handful of chef specials to choose from, the hardest part about visiting this celebrated small town restaurant is choosing what to order. The easy part though? Making the decision to come back again and again to explore it all. Steeped in family tradition, Azteca Mexican Restaurant in Davenport is often referred to as the best Mexican restaurant in the state of Iowa, and while their long menu of Mexican favorites and more often help retain this designation, there is more to this Mexican restaurant that really makes it stand above the rest. Whether it’s the inviting interior, the house-made margaritas or just the festive atmosphere that surrounds this south-of-the-border eatery, it’s truly a dining experience when visiting Azteca 1 Mexican Restaurant in Davenport. Open seven days of the week, no matter the Mexican meal you’re looking for at Fiesta Cancun Authentic Mexican Restaurant, you’ll find something worth coming back for more. With a full list of specials, lunch plates and much more, it’s the big menu that often brings people through the door at Fiesta Cancun, but it’s the festive atmosphere that makes them want to stay, and with one visit to this celebrated Dubuque Mexican restaurant, you’ll see for yourself why it won’t be your last. With a small sign and seemingly quiet storefront, La Michoacana could be one of those places you just pass by every time you drive down the street, but La Michoacana is only being modest about the authentic Mexican fare you can find inside. 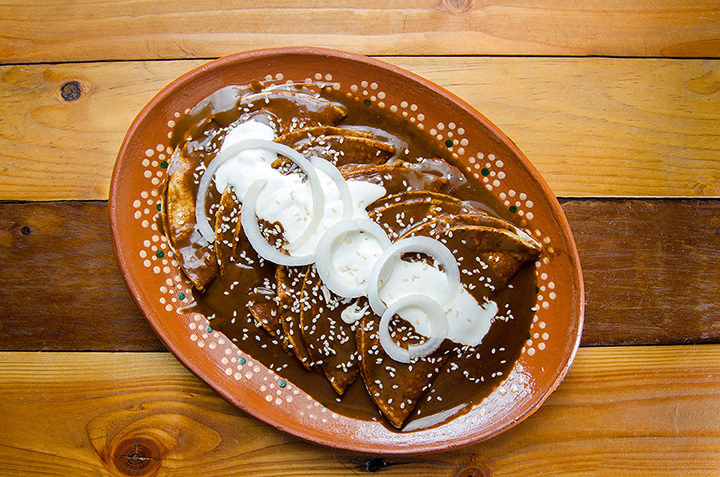 Tacos, enchiladas or burritos, you name it, and you can find it on the menu at La Michoacana. In combination with the quick service and clean atmosphere, every bite of whatever you choose to order at La Michoacana’s will ensure you never pass by the store again without noticing this staple Waterloo eatery.